Celebrated as the best sculptor (and sometimes architect) of colonial Brazil, Antonio Francisco Lisboa worked throughout Minas Gerais in the late eighteenth and early nineteenth centuries. A large body of architectural ornament and freestanding sculpture in wood and stone, as well as some decorative art objects are associated with him. He is known for being among the first artists of the region to incorporate rococo stylistic elements, and his sculptures are lively, expressive, and theatrical. Although much of his body of work is attributed based on stylistic analysis, extensive archival research has identified dozens of records that name the artist. Nevertheless, many details of Lisboa's life and work are shrouded in mystery. He rose to national attention with the 1858 publication of a biography by Rodrigo José Ferreira Bretas that paints a dramatic image of the artist’s physical appearance, personality, and life. Although Antonio Francisco Lisboa had died decades earlier, Bretas based the biography on archival records and interviews with those who had known the artist, including his niece, Joana Lopes. Bretas recounts that Antonio Francisco Lisboa was born in 1730, the illegitimate son of the Portuguese architect Manoel Francisco Lisboa and a slave named Isabel. In his forties, a devastating disease disfigured Lisboa's hands and feet. Thereafter, he was known by the nickname “Aleijadinho” meaning “Little Cripple.” Nevertheless, Lisboa continued to work and to become the region’s most esteemed sculptor and architect. Bretas had a specific agenda, was prone to romantic hyperbole, and much of his account relies on a dubious source. 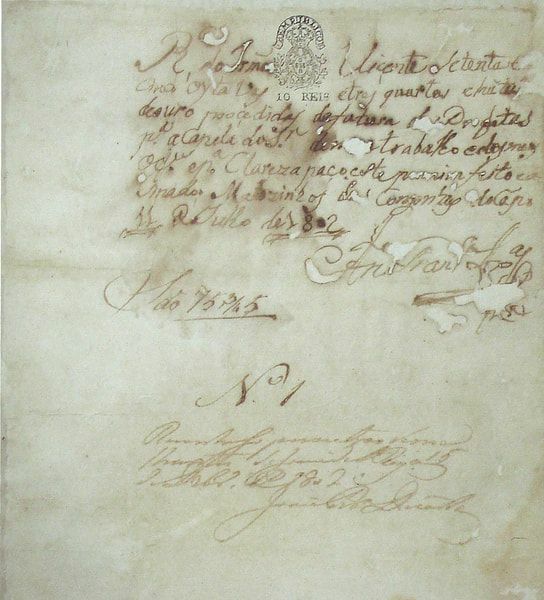 He transcribes a large portion of text from a 1790 manuscript by captain Jose Joaquim da Silva. However, to this day this manuscript has not been found. Bretas may have invented, or at least modified, the text. If the manuscript indeed existed, it was an extraordinary text: Brazil’s first piece of art criticism. While some scholars have claimed to have discovered documents that refer to Antonio Francisco Lisboa by the name "Aleijadinho," those sources have mysteriously vanished. 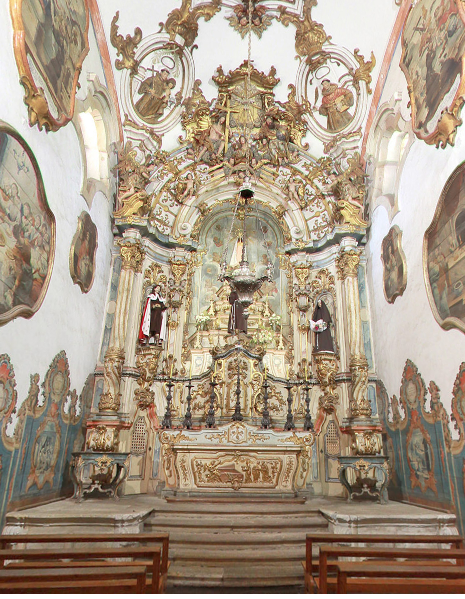 In 1811 Wilhelm Ludwig von Eschwege, a German mineralogist, visited the Sanctuary of Bom Jesus de Matosinhos in Congonhas do Campo. Antonio Francisco Lisboa's role in sculpting the wooden figures in the Stations of the Cross chapels and the stone sculptures along the steps of the church is well documented. Wilhelm Ludwig von Eschwege, Journal von Brasilien, oder Vermischte Nachrichten aus Brasilien, auf Wissenschaftlichen Reisen Gesammelt, part 2 (Weimar: Im Verlage des Gr. H.S. pr. Landes-Industrie-Comptoirs, 1818), 132. Some scholars have questioned whether Antonio Francisco Lisboa was indeed the son of the architect Manoel Francisco Lisboa. 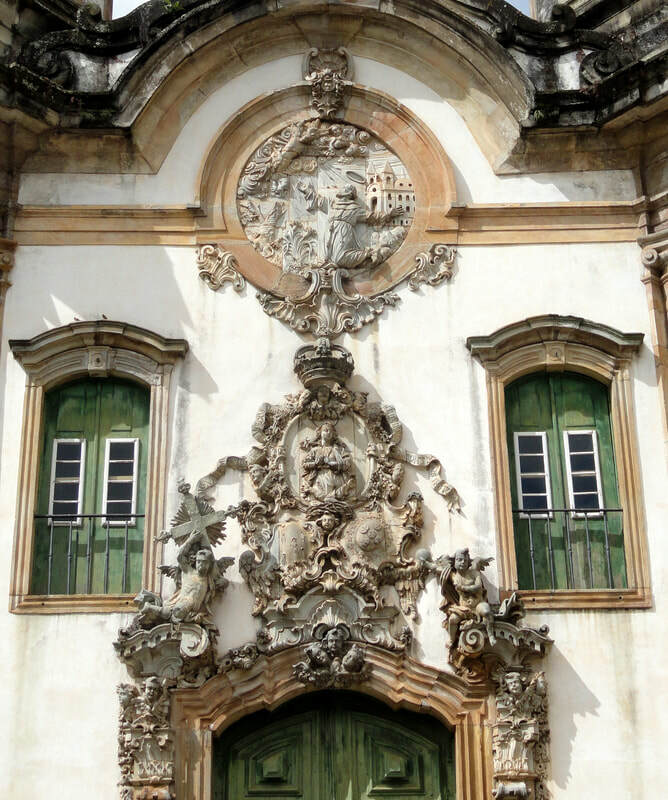 The sculptor's names were not uncommon, and the similarity with the Portuguese architect might have been a coincidence. A. J. R. Russell-Wood has hypothesized that the surname “Lisboa” might indicate that the artist’s place of origin was Lisbon, Portugal. Understandably, this idea has not been met with enthusiasm. If true, the most celebrated artist of colonial Brazil would have been neither Brazilian nor of mixed race. 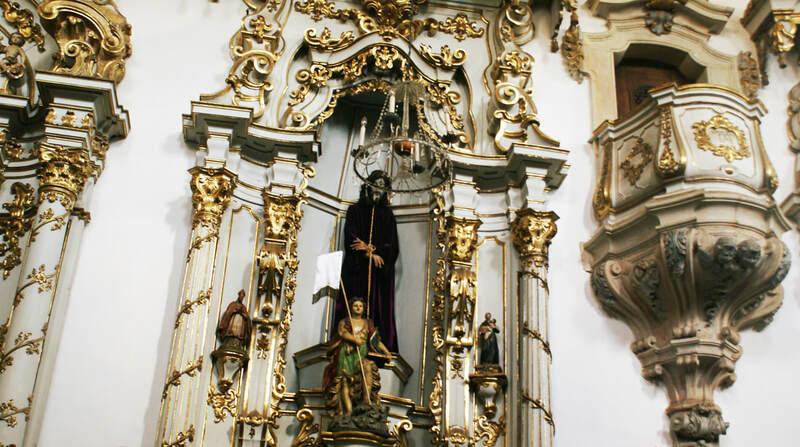 One of the many records documenting Antonio Francisco Lisboa’s involvement in the creation of the church of São Francisco de Assis in Ouro Preto offers compelling evidence for the artist’s African descent. Antonio Francisco Lisboa was paid to assess the finished church. Inspecting and approving the work was a task typically reserved for the architect. This suggests that Lisboa may have designed the structure but that discriminatory customs against people of African descent prevented him from being officially recognized as architect. 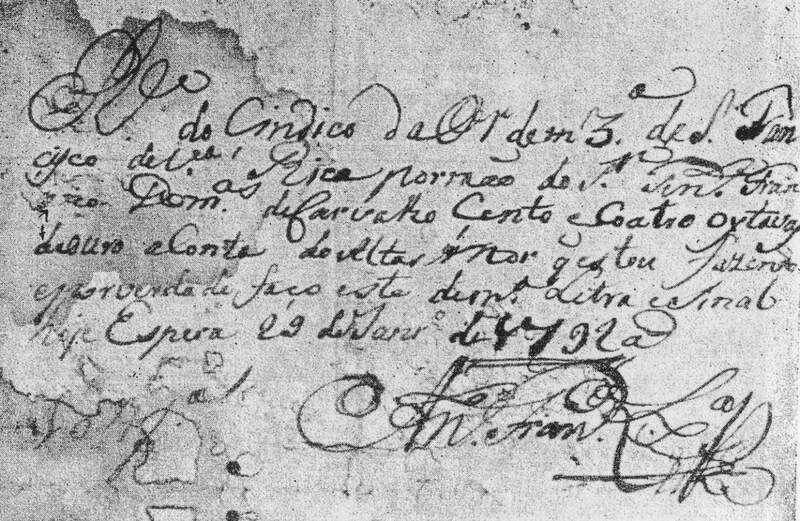 Numerous other documents refer to a man named Antonio Francisco Lisboa who was pardo, a term used to describe the offspring of one white parent and one black parent. Without specific reference to his profession as a sculptor or his signature, these records might be related to a different man of the same name. However, currently most scholars agree that at least some of the documents attest to the artist's mixed race. Tim Benton, and Nicola Durbridge, “’O Aleijadinho’: Sculptor and Architect,” in Catherine King, ed., Views of Difference: Different Views of Art (New Haven: 1999), pp. 146-177. Amy Buono, “Antônio Francisco Lisboa [O Aleijandinho],” in Colin Palmer, ed., Encyclopedia of African-American Culture and History: The Black Experience in the Americas, 2nd edition (Detroit: Macmillan Reference, 2005), 1293-1295. John Maddox, “The Aleijadinho at Home and Abroad: “Discovering” Race and Nation in Brazil,” The New Centennial Review 12, no. 2 (2012), 183-216. Tania Tribe, "The Mulatto as Artist and Image in Colonial Brazil," Oxford Art Journal 19, no. 1 (1996), 67-79. Rachel Zimmerman, "Church of São Francisco de Assis, Ouro Preto, Brazil," in Smarthistory, April 5, 2018, accessed April 18, 2018, https://smarthistory.org/sao-francisco-ouro-preto/.